Awaken your face with the Powder Blusher from Illamasqua. Arriving in a selection of highly-pigmented hues, the blush works to radiate and illuminate the complexion. Each powder blusher can be used to brighten, enhance and define the face shape. 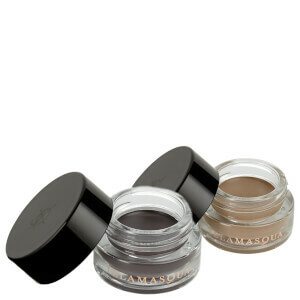 The powder makeup can be applied lightly for a subtle look, or intensely for a dramatic and daring finish. 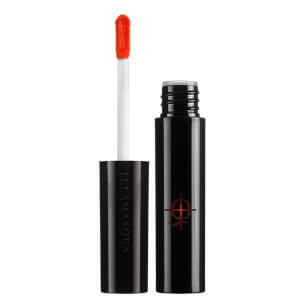 Use the blusher wet for a more intense colour pay off. Apply using Blusher Brush 1 for colour on the centre of the cheeks, or using angled Blusher Brush 2 for more definition and contouring. Talc, Dimethylimi- Dazolidinone Rice Starch, Mica, Aqua (Water), Magnesium Myristate, Propylene Glycol, Octyldodecanol, Isopropyl Myristate, Glyceryl Stearate, Phenoxyethanol, Peg-150, Silica, Ricinus Communis Oil (Ricinus Communis (Castor) Seed Oil), Cetearyl Alcohol, Quaternium-26, Methylparaben, Glyceryl Ricinoleate, Ethylparaben,Cera Carnauba (Copernicia Cerifera (Carnauba) Wax), Candelilla Cera(Euphorbia Cerifera (Candelilla) Wax), Sodium Cetearyl Sulfate, Stearic Acid, Propylparaben, Cera Microcristallina (Microcrystalline Wax), Tetrahydroxypropyl Ethylenediamine, Paraffinum Liquidum (Mineral Oil), Cetyl Alcohol,Cera Alba(Beeswax), Parfum (Fragrance) and May Contain: [+/- Titanium Dioxide Ci 77891, Iron Oxides Ci 77491, Ci 77492, Ci 77499, Carmine Ci 75470, Ultramarines Ci 77007, Red 36 Ci 12085,&Nbsp; Yellow 5 Lake Ci 19140, Red 7 Ci 15850, Red 21 Lake Ci 45380, Bismuth Oxychloride Ci 77163, Yellow 6 Lake Ci 15985, Manganese Violet Ci 77742, Ferric Ferrocyanide Ci 77510, Red 40 Lake Ci 16035, Red 27 Lake Ci 45410] May Contain Carmine as a Colour Additive. Stop Use If Irritation Occurs. 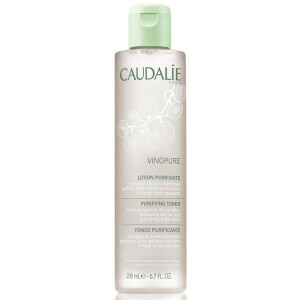 Receive a FREE Caudalie Hydration Essentials when you spend £35 Complimentary gift will be awarded at the basket. Offer valid for a limited time only, while stocks last.